Helen Healy. 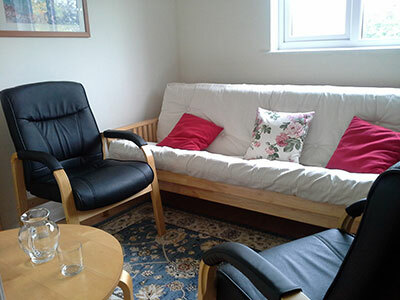 Psychotherapeutic Counselling Practice in East Molesey, Surrey. Before training to become a counsellor I worked for over twenty years as a palliative care nurse, offering nursing and psychological care to patients and relatives in a hospice. Through nursing I learnt the importance of kindness and openness and willingness to be alongside people suffering great distress. Being close to patients and families during a time of crisis and loss has given me a growing appreciation of the human spirit. It was a desire to develop and deepen my skills that drew me towards training as a counsellor. I trained as an Integrative-Relational counsellor at Kingston College and obtained a BA in counselling from Middlesex University. 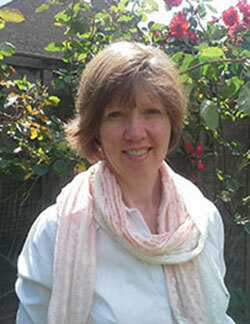 I am a registered member of the British Association for Counselling and Psychotherapy (BACP). My approach is Integrative and Relational, this means that in my work I draw on the insights and understanding from Psychodynamic and Humanistic theoretical backgrounds. I believe that each person given the right conditions can grow, overcome difficulties, and live more fully. The necessary conditions for this to happen I believe can be found within relationships with others committed to our wellbeing and growth. I work in an open ended way, and would see you for a 50min session weekly, or for a fixed time (for example six or twelve weeks) if we agreed on this together. I abide by the BACP code of ethics and my work is supervised by a senior practitioner. You feel distressed, overwhelmed or unable to cope. You are struggling with bereavement, an ending or loss. You are experiencing relationship difficulties. You are experiencing problems with self-esteem. You are suffering with depression or anxiety. You want to live a fulfilled life but do not know what that would look like for you. You feel stuck, repeating unhelpful patterns of behaviour. You are seeking to heal past hurts and unmet needs. You are in a time of transition, uncertain of the way ahead. You want to change a behaviour that is limiting your life in some way. I also offer a limited number of low cost places. I am available for consultations in East Molesey, Surrey by appointment. Please do not hesitate to contact me with any questions you might have.